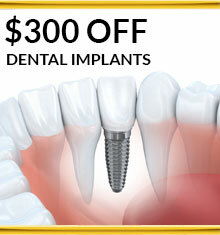 Placing a dental implant requires a certain quantity and quality of jawbone. If your jawbone isn’t dense enough, or the bone is too soft, bone grafting may be necessary to ensure the success of your implant(s). Chewing is a powerful action, particularly with regard to the rear molars, and this action exerts substantial pressure on your jawbone. To handle this pressure, the jawbone must be strong enough to support a dental implant post and the subsequent restoration. A bone graft can augment existing bone to create a more solid base for the dental implant. Bone loss occurs for a variety of reasons: gum disease, trauma, tooth decay or infection, or the lack of stimulation to the jawbone when teeth are missing. Our doctors will evaluate the density and integrity of your jawbone to determine if you’ll need bone grafting to support your implant(s). Bone grafting is performed on-site, and can often be incorporated into the implant procedure. Advanced bone grafting techniques provide us with the ability to increase the height and/or width of the jawbone to create secure support for your implant(s). Our doctors also use bone grafting during procedures that can cause or accelerate jaw bone loss, such as tooth extraction. Bone grafting material is inserted into the jawbone to help stimulate natural bone regeneration. The grafted material is absorbed into the body as the jawbone produces healthy, new bone. Most bone grafts are minor procedures that can be done under local anesthesia. 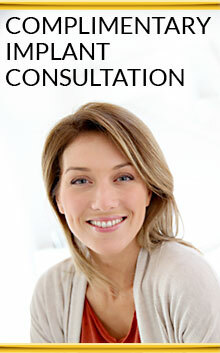 Usually the bone graft and implant placement can be performed in the same visit. With more extensive procedures, the graft requires a healing period prior to placement of an implant. The material used for grafting can be your own bone, bone from a tissue bank, bone from animals or synthetic materials. Our doctors have found that using your own bone often yields the best results. The graft requires a very small portion of bone and it can be harvested from the knee, hip or jawbone. We use all types of grafts and combinations of them depending upon a patient’s needs. In selecting which graft to use, our doctors take into account various factors to determine what is best for your situation. Their extensive training in the bone grafting process and many years of experience performing this procedure enables them to evaluate the best grafting solution for each patient.